Want to create Halloween themed photos that will stun everyone around you? Then we have a perfect deal for you. 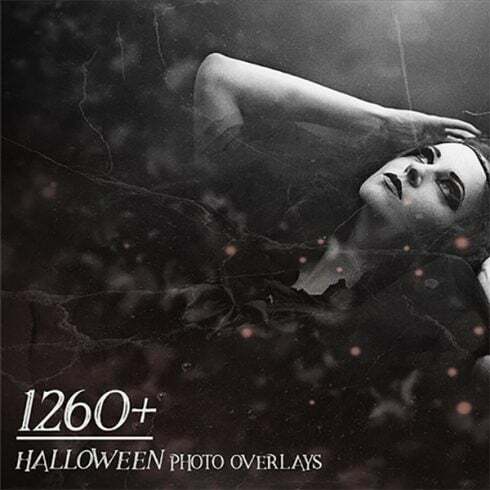 Introducing this wonderful bundle of 1260+ Halloween Photo Overlays in which you will find incredible overlays for your favorite taste. You can choose from TONS of options such as Lightning, Fog, Night Sky, Fire and much more! 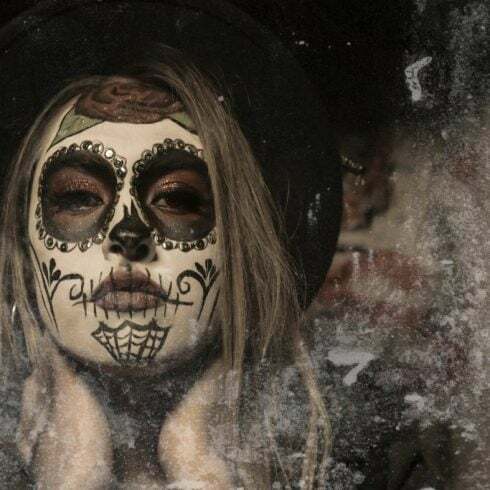 With all the overlays in HD format and compatible with most of the modern software which uses layers, this bundle is perfect for any Halloween themed photos or project. Another package additionally well suited for photo designers is assigned to photo deals. Here on MasterBundles you will discover a bulk of solutions for picture treatment. When you need PS actions, Lightroom presets, photo overlays, or any other resources for dealing with photographs, you have come to the absolute right place. If you are a graphic designer taking care of several tasks concurrently, you, like no others, see the importance of the whole pack of design items available at hand. Trying to find them separately, you may spend much time and expense consequently. To obtain all of the needed components in one pack, we advocate experimenting with graphic package deals. A bundle is actually a collection of digital design components meant for graphic design, priced at thousands of dollars, yet offered at a substantially reduced price for a limited time. How to save a whole lot more funds on MasterBundles.com deals? When you share this page in social networks – you immediately receive the 5% discount for any of the graphic packages you prefer. That’s a super easy way to get a professionally created tools for a lower price. Exactly why are graphic packages profitable? For any design project, you will need a bunch of components – just a few icons, a font, a number of illustrations or photos, etc .. If you’d wish to shop for all of them one at a time it will cost you a lot of money! And so, that’s why knowledgeable graphic designers look for graphic packages to purchase. They permit purchasing a huge bunch of various graphic components for a modest price tag. The assortments of components compiled into a graphics package deal are usually sorted in accordance with their type or main objective. There might be bundles with business card templates, mockups, infographics, wedding invitation templates and icons, etc. In addition, you will also find graphic bundles designed for Christmas, St. Valentine’s Day, Christmas or St. Valentine’s Day. The bundles of logo templates, icons and fonts are out there . They deliver unlimited possibilities for the design of diverse web projects. On top of that, you’ll find the full deals of WP themes, training and ebooks, cv templates, slides, and various other elements. MasterBundles is a marketplace that accumulates design products from the internet and allows you to buy the design components you need in your work for a lower price. Packages this website sells are restricted in time, and that’s the answer why they are so cheap. To prevent missing out on the sale you will be excited about – subscribe for the weekly email message, revealing the newest offers. MasterBundles boasts a great blog with the useful design features detailed.